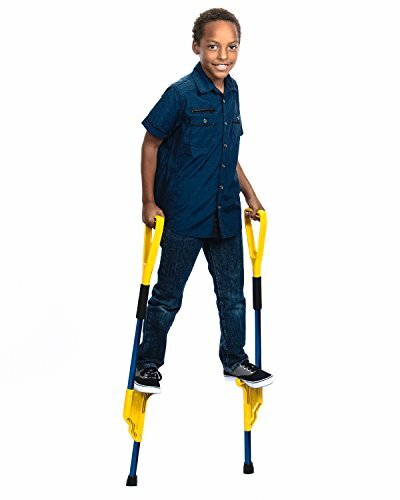 Standard stilts for eight to eleven years or up to 56 inches tall. Step height of 15 inches & supports up to 155 pounds. Also available in Junior (13") and Advanced (17") Sizes. Buy Hijax Stilts Replacement tips on this site. Available in Blue, Red, Green or Silver / No assembly required.